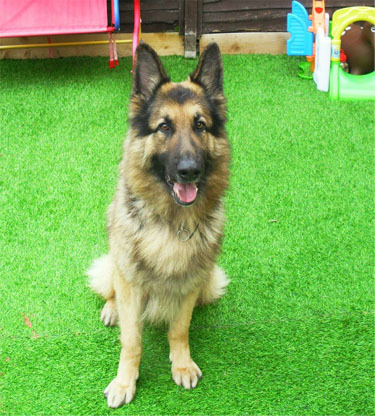 Alfie is a loveable 8 year old entire boy who is now looking for a new mum n dad who can give him the time he deserves. Sadly Alfie spends a lot of time in the garden as he is becoming increasingly boisterous around the children in the home and they in turn have become wary of him. Going forward we feel Alfie would suit an experienced owner who can deal with his strength on the lead and discipline when around other dogs as Alfie has a tendency to bark loudly when he sees another animal (he does calm when told). Our volunteer found Alfie to be a friendy boy, once introduced he was happy taking treats and having a fuss. He maybe 8 years young but he definitely has a lot of life left him in yet!